The Hudson River Railroad was chartered in 1846 to construct a route between New York City and Albany along the east bank of the Hudson River. The line was completed to Poughkeepsie in 1849 and to Albany by 1851. 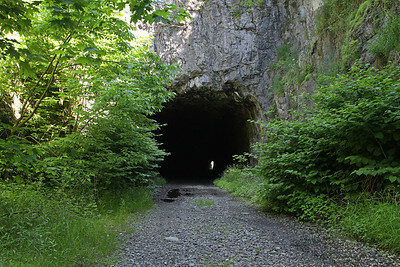 Just north of New Hamburg station, the railroad blasted a curved 836-foot unlined tunnel built to accommodate two tracks with a width of 24 feet and height of 18 feet at center. 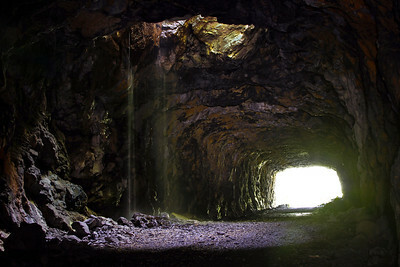 Tunnel construction began in September 1848 with the use of two vertical shafts 245 feet apart, one 45 feet deep and the other 35 feet deep from surface to tunnel ceiling. 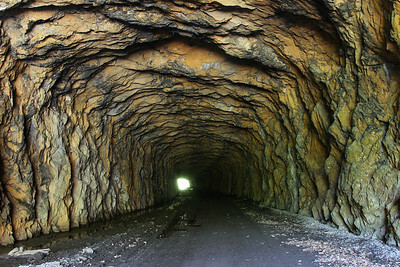 The tunnel was blasted in both directions from each shaft, as well as from the north and south ends, a total of six faces which were worked simultaneously. Construction took 16 months and completed on December 27, 1849. Use of the shafts significantly increased expenses as it required that all rock and water be hoisted to the surface and that fresh air be pumped in during blasting. 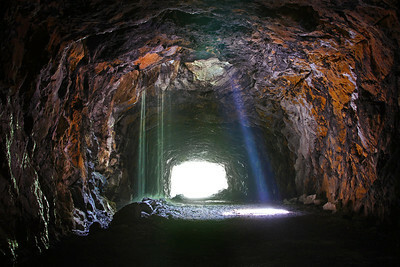 However, upon completion, civil engineer Thomas Meyer estimated that use of the shafts saved more than a year of construction time as it allowed tunnel excavation to progress simultaneous to the blasting of cuts through an additional 700 feet of solid rock at the tunnel's portals. The New York Central (NYC) obtained control of the Hudson River Railroad in 1864. Increased traffic on the NYC's Hudson Division required an expansion to four tracks and realignment in New Hamburg. 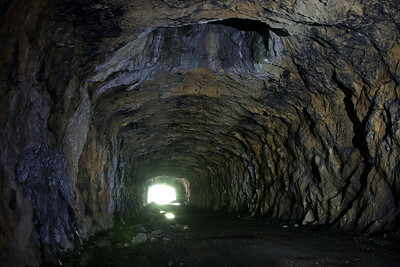 In 1930, the double-track tunnel was replaced with a parallel open cut which continues to serve Metro-North and Amtrak. 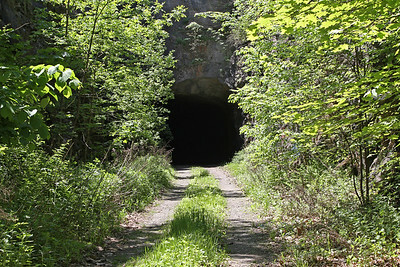 Today, the tunnel remains in good condition and is used by Metro-North maintenance crews to access the current right-of-way north of New Hamburg. 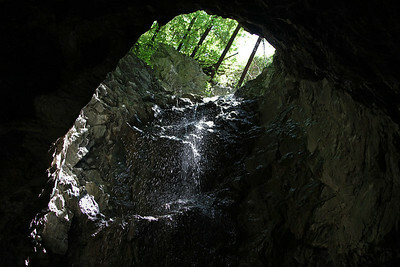 The southernmost shaft is protected at the surface with a metal grate, allowing light to enter and water to cascade from the tunnel ceiling. The northern shaft has been covered at the surface.